CHANCE TO WIN UP TO $2,000 CASH! 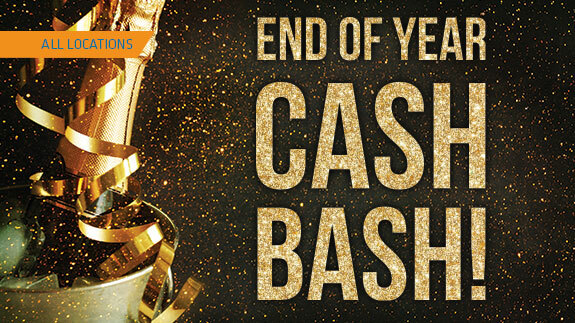 Instead of counting down the New Year, count up your winnings! Earn entries starting Monday, December 3, receive one entry for every 25 points earned. Selected players pick an envelope to see how much they’ve won. BAGLEY | Chance to win up to $100 cash!